KAESER Condensate drains remove condensate separated in centrifugal separators, air receivers, refrigeration dryers and filters from the compressed air system. They are therefore indispensable components for efficient compressed air treatment and disruption-free compressed air supply. Kaeser ECO-Drain Condensate Drain Valve resulted in Zero Compressed Air Losses. 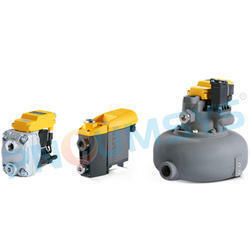 Kaeser ECO-Drain Condensate Drain Valve are highly cost-effective and reliable. This is attributable to a control concept that works independently of condensate volume, dirt-resistant valve mechanics and a network-capable alarm contact.